The story and why to buy a genuin Girl named Sue mantra bracelet. We like people to connect and share the love and unity that they feel for themself and eachother. 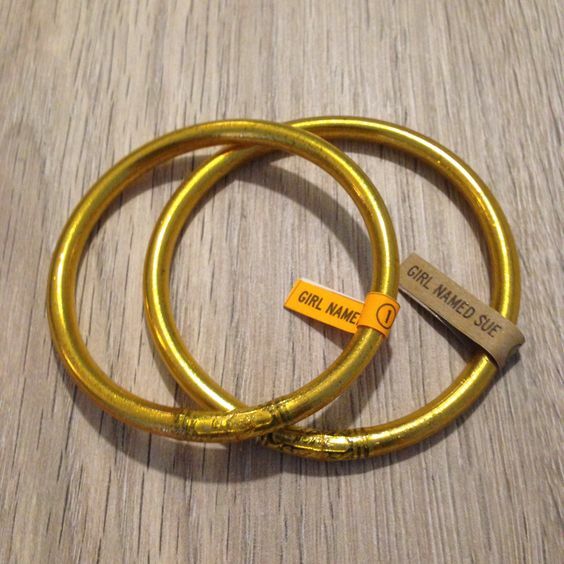 This connection is made visible by sharing and wearing the genuin Girl named Sue mantra bracelets. Except for the fact that the mantra bracelets are beautiful they also have a powerful symbolic value. The bracelets find there origion with Asian monks, they are blessed in the buddist temple and closed with a mantra of “Love and Unity”, this gives them real impact and makes them more than special to give and receive. I believe you make a difference by what you are feeling, doing and sharing…., "the secret ingredient for success is conciousness" (quote Barbara de Angelis), and by supporting that I try to have a big impact on the world of today and tomorrow. You can recognise a genuin Girl named Sue mantra bracelet by the brown or orange name / size tag that is attached to each bracelet, this can be removed before wearing. 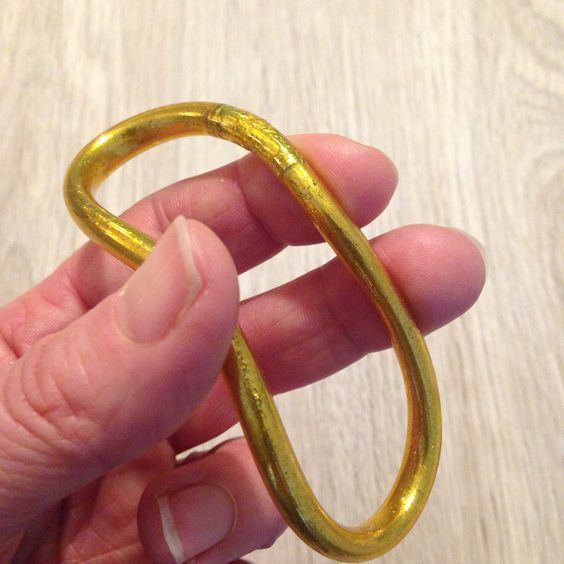 The bracelets are made from a flexible tube that is filled with Goldleaf. Flexibility gives more comfort in wearing them day and night, but also easy excess in putting them on and having a tighter fit in opposite to fixed sized baggle.